In any competitive game, you would always want to have an edge over your competitors. Due to the fact that bowling is one of those competitive sports, you would also like to beat your opponents to the prize. 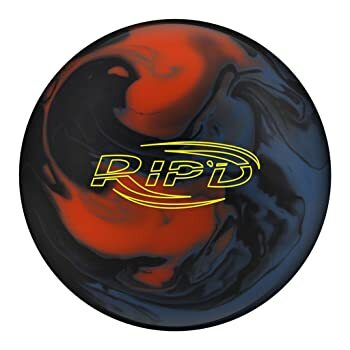 Emerging victorious in this game demands that you have the best bowling ball for hook in 2019. With a bowling ball with a hook, you stand a higher chance of getting more strikes. A ball with a higher hook potential allows you to get the precise entry-angle, the correct rotation as well as the needed speed. A ball that enables you to achieve these three important aspects of bowling is regarded with high esteem in the game. It is also worth noting that a ball with high hook potential is the perfect match for hitting the pocket. 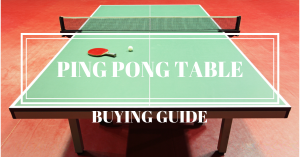 These balls are in fact perfect for beginners who would like to up their games. If you happen to be among those bowlers who would wish to up their games in 2019, then you are in the right place. 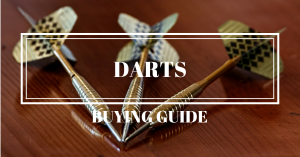 In this guide, you’ll get to know some of the best bowling balls for hook alongside other pieces of information that you might need as you enjoy the sport. Just read along. Not every bowling ball you come across is designed for the hook. Some are built for straight shots while others are meant for the hook. An understanding of the difference between the two goes a long way in determining which ball will be best suited for hook. Don’t fall for any ball as some might be said to be specifically meant for hook while in a real sense they are not. It is a business strategy that some manufacturers use to get their products sold. At the end of the day, it is the buyer that is left reeling in pain. 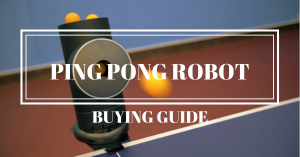 So what exactly should a first-time buyer look for in a bowling ball for the hook? Well, this section has the answers to this important question. Take a look. The ball’s surface is the first thing that you’ll come into contact with. 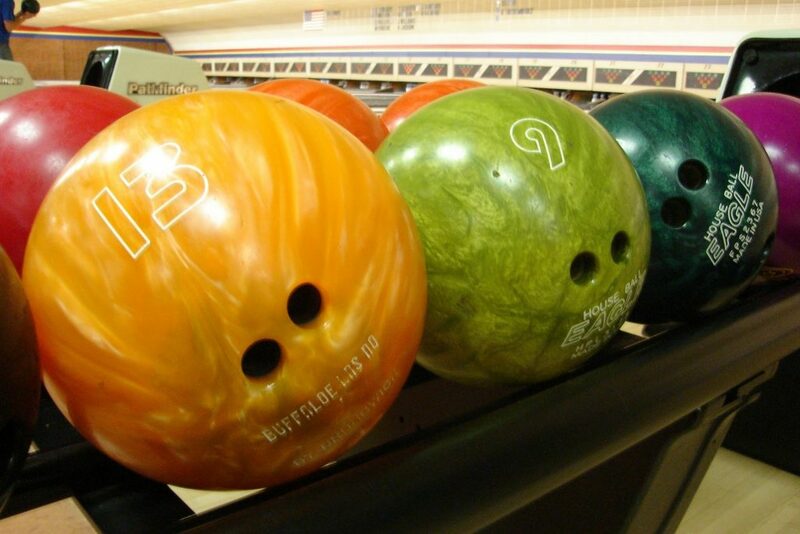 The bowling ball’s surface, otherwise known as the coverstock is a very important factor you need to consider whenever you’re planning to buy a ball for hook.The material from which the coverstock is made determines the amount of friction the ball is most likely to produce against the surface of the lane. The material also contributes a lot to the hook potential of the ball. So what material should the coverstock be made of? For beginners, I would recommend that you go for balls made of plastic as they are known to travel in straight directions. Additionally, urethane balls have greater hooking capabilities more so in dry lanes. For the best hook potentials, then reactive resin balls would be the best choice. The resin particles infused into the urethane often vary depending on styles and conditions of bowling. The reactive coverstocks are usually available in either pearl reactive or solid reactive balls. The former has mica introduced into it to allow for more ball reaction on dry lane conditions. The solid ones, on the other hand, have numerous but small reactive pores on the ball’s surface. There are balls that combine these two materials to yield what is often known as hybrid reactive coverstock balls. These are the best for mid-lane actions as well as the back-end and solid motions. Personally, I like going for the prettiest stuff whenever I am in the market shopping. The appearance of your bowling ball actually says a lot about you and your personality in general. Why should you buy something that is ugly when there’s a much better one just within the vicinity? The color and finish of the bowling ball is something you need to pay close attention to as well. This shouldn’t, however, be done at the expense of quality. The finish should be smooth and shiny, preferably high-gloss. On colors, it is really a nice thing that bowling balls are available in multiple colors which actually gives you room to choose whatever suits you. The type of finish also says a lot on the ball’s durability. The better the outer coating, the more durable the bowling ball is likely to be. Well-finished balls don’t chip and hence long-lasting. For every bowling ball for hook, pay close attention to what constitutes its core as well. For beginners, it is okay to go for balls with pancake cores as such are meant to give the standard bowling expedition. Pancake cores give the ball an all-around balance as they are usually packed with filler materials. If you see yourself in the professional league, then the asymmetrical or symmetrical cores should be your thing. Symmetrical cores are deemed the best as they offer a lot of versatility, especially as regards hole drilling. Additionally, they make perfect curves without losing control and power. Symmetrical balls don’t require you to have some specialized skills either to play. Asymmetrical cores, on the other hand, aren’t uniformly shaped on their sides. They, therefore, offer much of a bite which results in control loss. They can only be used by the seasoned bowlers. The core of the bowling ball for hook should be carefully looked into as well. 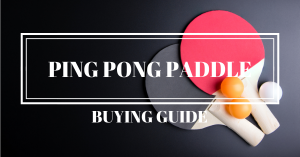 These are just but a few of the many factors you can look out for before you hit the purchase button. Aren’t they so simple to take note of? In this section, I have carefully chosen 5 of the very best bowling balls in this category that you can consider whenever you find yourself in the market for a ball soon. Take a look at some of their properties, merits, and demerits before you decide on which one will be most ideal for you. Here are the top 5 Bowling Balls for Hook on the market today. 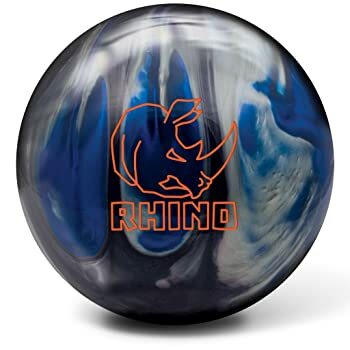 First in my list is the Brunswick Rhino bowling ball. The hook potential offered by this ball is a great one and as a result most ideal for beginners. If you are looking for a ball that isn’t very sensitive to oily or dry lanes, then this ball is another great option. Just like in the case of almost all entry-level bowlers, you’ll need a ball with a reactive coverstock. Brunswick Rhine takes into account this feature and combines the reactive coverstock (R-16) and a bulb core that is light. This yields a ball that is powerful and easy to control at the same time. The ball has a 500 Siaair finish that is accompanied with a royal shine and compound. The ball’s reaction is a slight hook. This ball is available in black, blue or silver pearl colors and often weighs about 16 pounds. 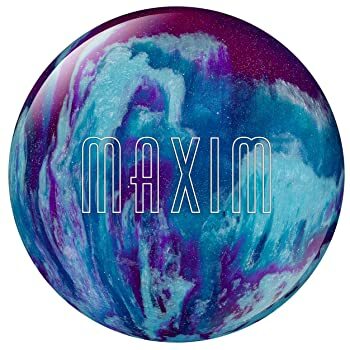 Ebonite Maxim ball is another great option for any bowler who looks forward to the best hook potential during gaming. It allows you to play your game in style while at the same time emerge victorious among your competitors. This ball is made of polyester and features among the most popular brands made out of this material. It is designed in such a manner that it has a three-piece core. The Ebonite Maxim bowling ball for the hook is actually so ideal for entry-level bowlers or any other recreational sporting. Its coverstock is a mixture of polyester and plastic. The ball is available in purple/royal and silver colors. The appearance is just another amazing thing. If you fancy nice-looking bowling balls, then here is something great for you. The ball has a weight of about 11 pounds. From the Hammer brand, I am glad to introduce another beautiful option that you might consider. And that is the Black Widow Assassin. This ball has combined both the First Blood and the Widow Core coverstock components to give the product you are about to find in the market. The ball is sanded in some 1000-grit polished finish to give it an outstanding finish. 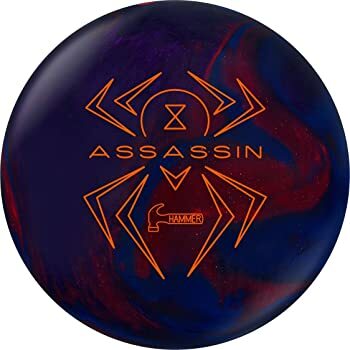 With the gas mask core that it has, this is probably one of the most continuous hooking and aggressive bowling balls you can find in the market currently. Just an appearance with this ball in your local play area will just give you an edge above the rest as it’s kind of intimidating. Isn’t this the kind of ball you need to win that tournament or league? You can check it out as well. A very pretty ball as well. From Hammer again, I introduce to you the Rip’d Solid ball that is also known for its good hook characteristics. For this ball, there is a combination of the Rip’d and the Aggression Solid CFI coverstocks. This is what gives the ball an edge over a great number of others. Its successful core shape is just a combination of the Gauntlet and Scandal core shapes. Additionally, the ball is strong and durable as a result of the infused carbon fiber, which is actually one of the strongest materials the world has ever seen. The infusion of this material is where Hammer beats many other brands. The addition of this material into the ball’s inner core brings about durability and strength. It is for this reason that Hammer can comfortably hand this ball a warranty of 3 years without anything to worry about. From its design, the ball is capable of giving you the best mid-lane traction as well as a continuous down-lane motion that you can as well rely on in case of heavy oil situations. A combination of blue/black/orange colors is what the ball is available in. It weighs between 12 and 16 pounds. The ball has an RG Min of 2.486 and a differential of 0.054. Last but not least is the Pyramid Path Bowling ball which is available at affordable prices. It is a good ball for bowlers of any age with different skill levels. The polyester bowling ball is a precise one as it is designed to make straight paths. This ball is known to be durable and for that reason, it comes with a warranty of 2 years. It arrives undrilled so it is upon you to get a professional to drill the holes for you as per your comfort. The balls are available in pink/black colors which is actually great for any outdoor gaming. 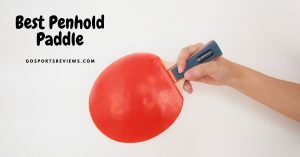 You can as well give this a try, especially if you are short of funds but you still need a bowling ball for hook. I’m certain that you will like it. The fact that it is also strong and long lasting is another good reason why you might consider buying it. It is also quite affordable which is something that makes it easy to be bought by ordinary people. What is the best bowling ball for hook? Well, I haven’t come across any ball that beats Brunswick Rhino Bowling Ball in this area. From its appearance, the finishing, the price, to control and power among others, this is surely the very best of them all. It is the perfect gift you can buy for that entry-level bowler whose enthusiasm about the game is still unmatched. It is versatile and can be used in different kinds of conditions. How about you try it out? It is available for sale in the market. 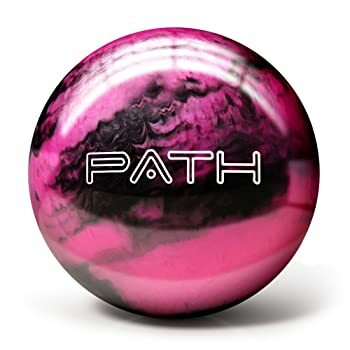 Without any doubt, this is the best guide on bowling ball for the hook in 2019. Do you have any comments to add? Or even questions that you feel have been left unanswered still? Just hit on me through the comment section below and I’ll surely get back to you.